This book is available signed and unsigned. 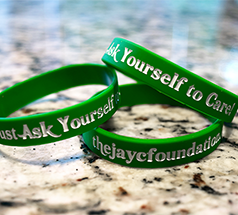 Signed paperback copies of Safe Kids, Smart Parents are exclusively available from The JAYC Foundation. The book is signed by Dr. Rebecca Bailey, P.H.D. 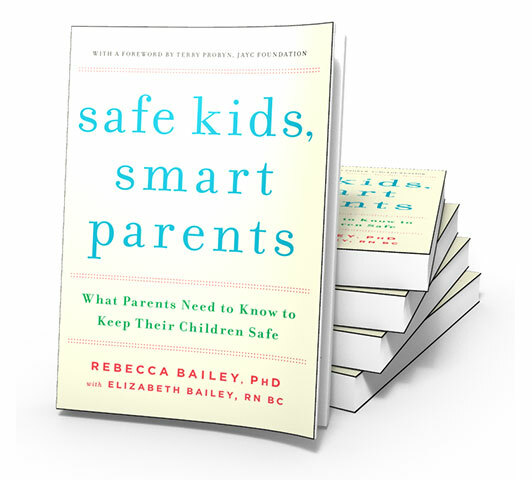 Authors: Written by Dr. Rebecca Bailey, PHD with Elizabeth Bailey, RN BC. Introduction by Terry Probyn. Leading family psychologist and personal therapist to Jaycee Dugard, Rebecca Bailey tells parents how to keep their children safe in this accessible, must-have guidebook, with a foreword by Terry Probyn, Jaycee's mother. Whether their children are toddlers or teens, six years old or sixteen, whether they live in a rural town, suburb, or a bustling city, all parents worry about threats—from cyber-bullying to exploitation and abduction. What should they tell their children and when? What practical steps can they take to reduce the risks and keep their kids safe? Dr. Rebecca Bailey, with the assistance of her sister and registered nurse, Elizabeth, gives easily understood, easily followed answers. Safe Kids, Smart Parents builds on Dr. Bailey’s years of experience as a family psychologist helping real families deal with real situations. From abduction to abuse, Bailey explains how parents can speak to their kids about troubling topics while building their self-esteem and teaching them how to protect themselves. A smart, comprehensive, and easy-to-read resource, Safe Kids, Smart Parents is the most important book a parent can own.